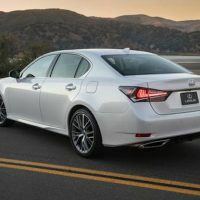 The full-size performance-focused sport sedan segment is chock full of top models from Audi, BMW, Mercedes-Benz, Cadillac, and Jaguar. 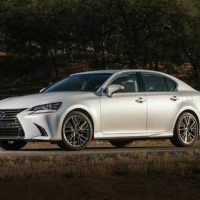 Toyota is now in the conversation with the Lexus GS 350 F Sport, a rear-drive sports sedan that will excite driving enthusiasts. 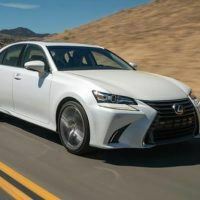 We recently tested the rear-drive 2017 Lexus GS 350 F Sport model. 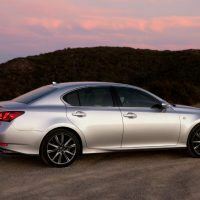 Not much has changed for the 2017 Lexus GS 350 F SPORT, but it does come standard with the Lexus Safety System+. 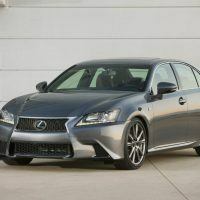 An optional limited-slip differential for GS 350 RWD is featured, and it gets a new exterior color: Smokey Granite Mica. 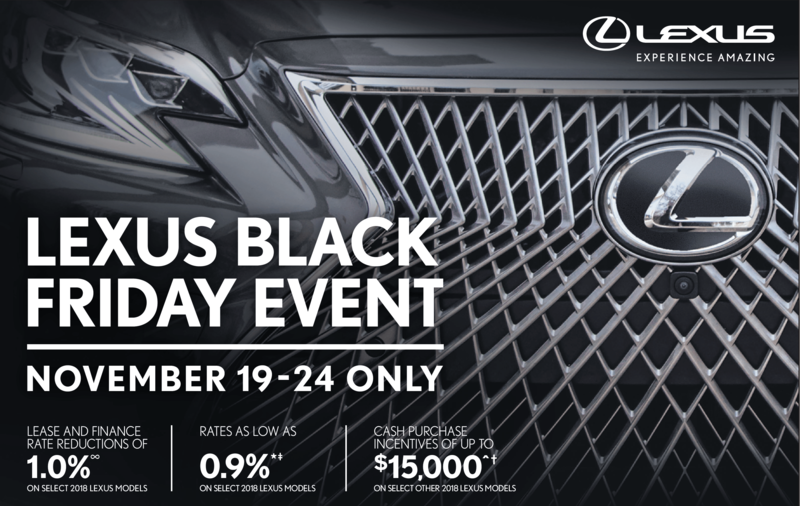 The 2017 Lexus GS 350 F Sport ($54,810) comes standard with 10-way power seats, leather, rearview camera, satellite radio, Bluetooth with audio streaming, and Remote Touch, the “mouse-like” controller. 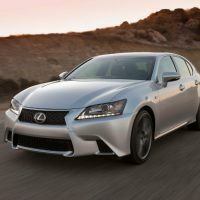 The GS 350 gets leather seating and navigation with a 12.3-inch screen standard as well. The F SPORT package (no charge) combines track-tuned chassis enhancements with exclusive exterior and interior design features. 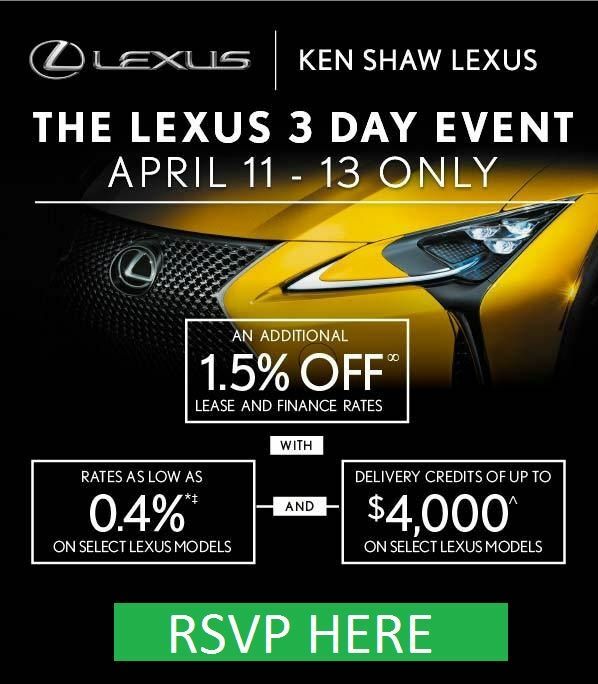 This model came with rear-wheel drive and the new limited-slip differential ($500). 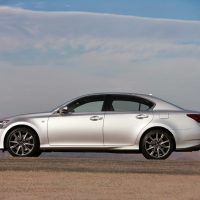 Lexus Safety System+, is now standard for 2017, and combines Pre-Collision System (PCS) with Pedestrian Detection, Lane Departure Alert (LDA) with Steering Assist, Intelligent High Beam (IHB), and All-Speed Dynamic Radar Cruise Control. 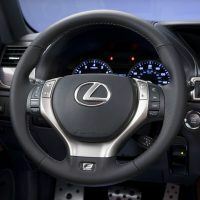 Our tester also came with the optional Mark Levinson premium sound system ($1,700) Intuitive Park Assist ($500) and a heated steering wheel ($150). 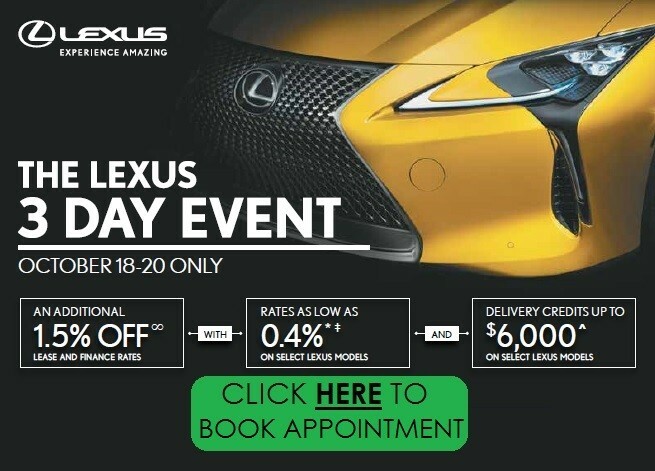 Total MSRP including destination: $60,305. 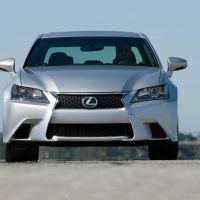 The Lexus GS is elegant, warm, and inviting inside and comes with excellent fit and finish, a Lexus trait. We think the materials are a grade up from the German competition with its padded leather panels, wood trim, and lots of soft-touch materials throughout the cabin. Our tester came with the navigation package, featuring a 12.3-inch split screen multi-media display. The upgraded screen is easy to view and gives the driver the ability to view and control up to three systems via a triple split screen. Maybe we are getting used to the “mouse-like” controller, because it seems like it’s getting easier to use. The 18-way F-Sport power-adjustable heated and cooled front driver’s seat is comfortable, supportive, and was a high point in the cabin. 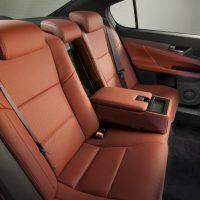 In the back, the GS 350 offers up an inviting place for passengers. There’s good headroom, but our 6-foot passengers complained about the lack of knee-room as we took them to lunch. We chilled them out with the Mark Levinson upgraded sound system, however. If they complained, we just cranked up the tunes. 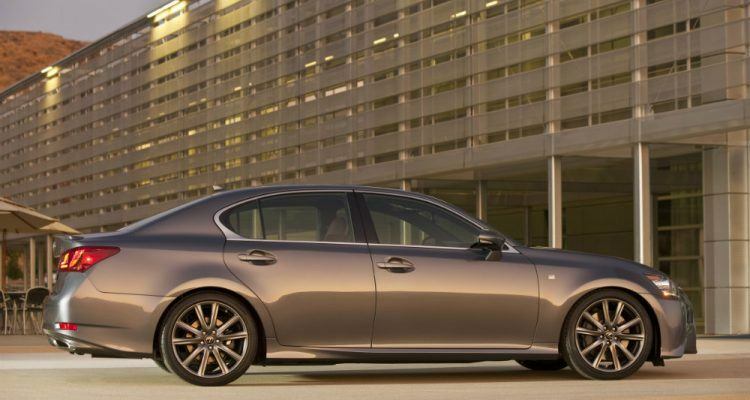 The sedan does feature big back doors making it easy for larger adults to slide in-and-out. 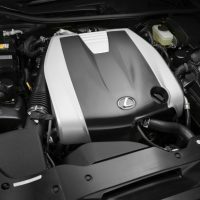 Our GS 350 F-Sport is powered by a 3.5-liter V6, producing 311 horsepower and 280 lb-ft. of torque. 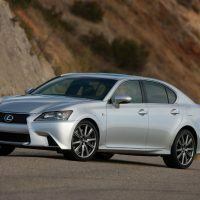 It comes mated to a sweet eight-speed automatic for the rear-drive model. EPA fuel mileage estimates come in at 19/27 city/highway and 22 combined mpg. 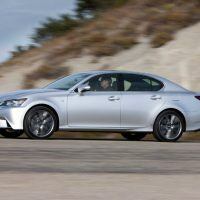 The 2017 GS 350 with rear-wheel drive is a bit quicker than the all-wheel drive GS with its 6-speed transmission we tested previously. It also comes with a bit more power than earlier models. The 3.5-liter V6 offered up ample power and crisp responsiveness in all the driving situations we encountered this week. 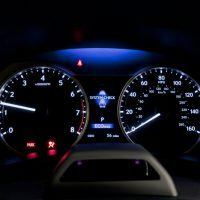 The powerplant features direct injection, four valves per cylinder, four cams, and variable valve timing that makes it a completely modern performance engine. The power kicks in above 3000 rpm, and reveals its true spirit in Sport mode; it pairs perfectly with the 8-speed transmission. 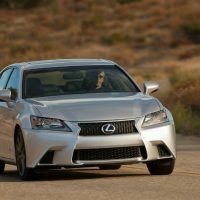 On the road, the F-Sport suspension is tighter and ensures a sportier driving experience. It’s a comfortable cruiser on the highway and a bit more firm on the dirt roads leading to the house. We had a snowstorm hit the mountains recently and we had set the rear-drive sedan aside for a couple days. It came with summer performance tires which don’t agree with a few inches of the white stuff. 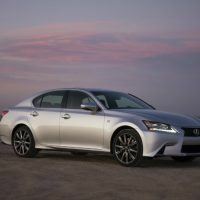 The 2017 Lexus GS 350 F Sport is a highly-capable performer for driving enthusiasts. 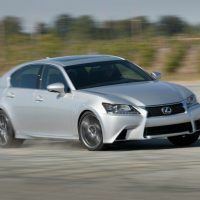 It features both the rear-drive performance dynamics of a sports sedan along with a refined, comfortable ride. 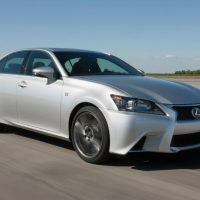 It competes with the German sports sedans and offers up a more comfortable cabin than the competition. It comes standard with the latest high-tech safety equipment and convenience technology too.